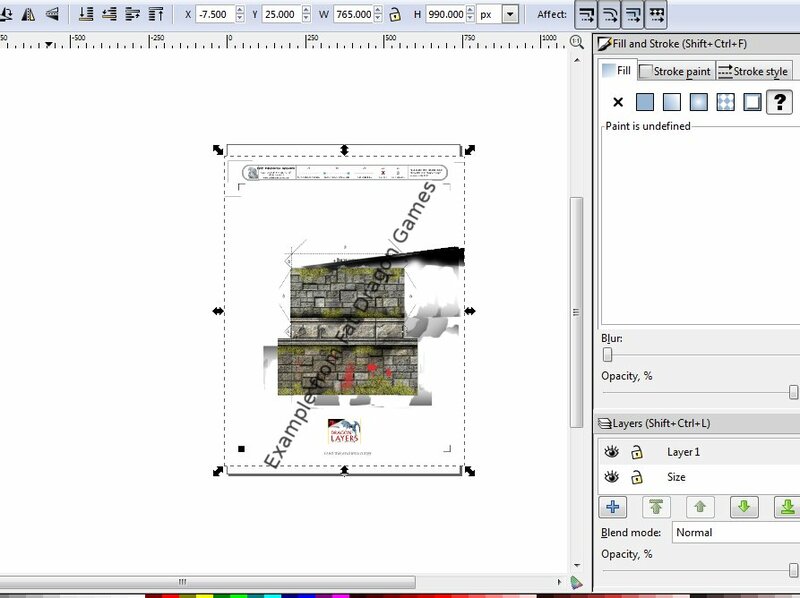 I’m going to cover one way of importing multi-layered PDF’s into GIMP so that each layer in the PDF becomes a layer in GIMP. This method is not quick but is fairly easy requiring you to carry out the same activity multiple times. 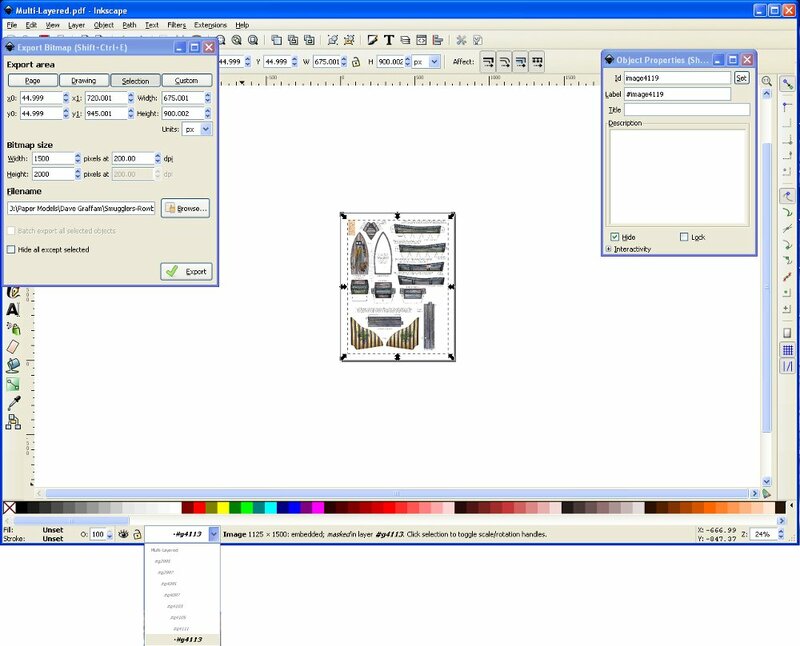 It does require the use of Inkscape to carry the conversion process. It does however retain the images in as close to original colour/quality state as possible without using commercial software. 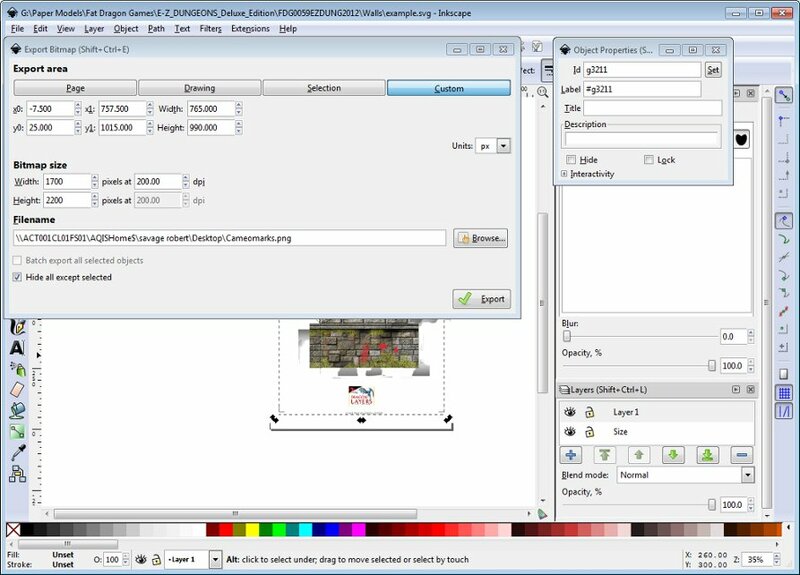 You may still experience problems fully replicating a 100% direct match as some layered PDF’s make use of the blending options available inside Adobe Indesign or other proprietary applications for each layer. This means at best we are guessing the blending options for some of these layers. The below instructions are specific to Windows machines if you’re running a Linux flavour the below should still work or should provide you with enough of a guide to get you on the right path. If your creating something for your own personal use that you’ll never share, no worries bash mod and print away no-one is going to mind. However if you want to share an item with the world (okay internet) remeber to check in with the artist before posting the file. Whenever you’re dealing with someone else’s artwork always respect either there standing rules around mods and bashes or check personally with the company/artist in question. All my art (if you can call it that) is released under creative commons license meaning your free to mod and share whatever you make so long as it’s not a commercial venture, you credit myself in someway and you share the resulting work under a similar license. Some items I do release into the public domain which means anyone can use what they like and credit me or not. 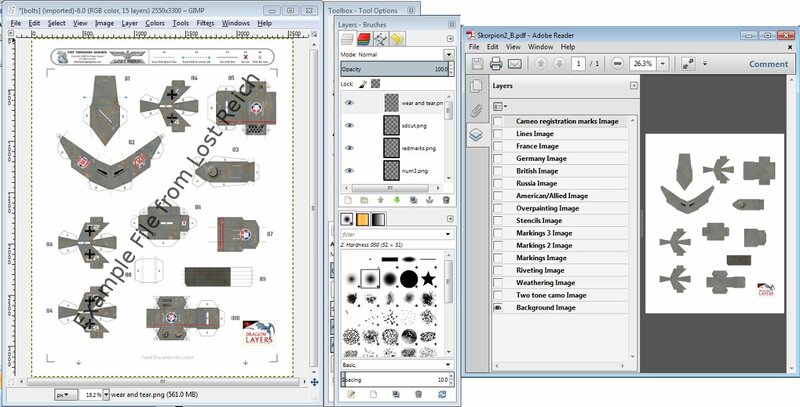 If you do start to create your own papercraft items from scratch using your own hand built textures, your own photographed textures or public domain textures. I would encourage you to make it very clear on each PDF what license you grant any future modders and bashes. I know myself I find it quiet frustrating when no license is apparent and I wish to make minor tweaks but don’t know if I can share the outcome and the artist is now unreachable. Sorry I’ll get off my soapbox now :). We end up with an almost exact colour match of the component parts meaning mods will match existing terrain pieces more closely. 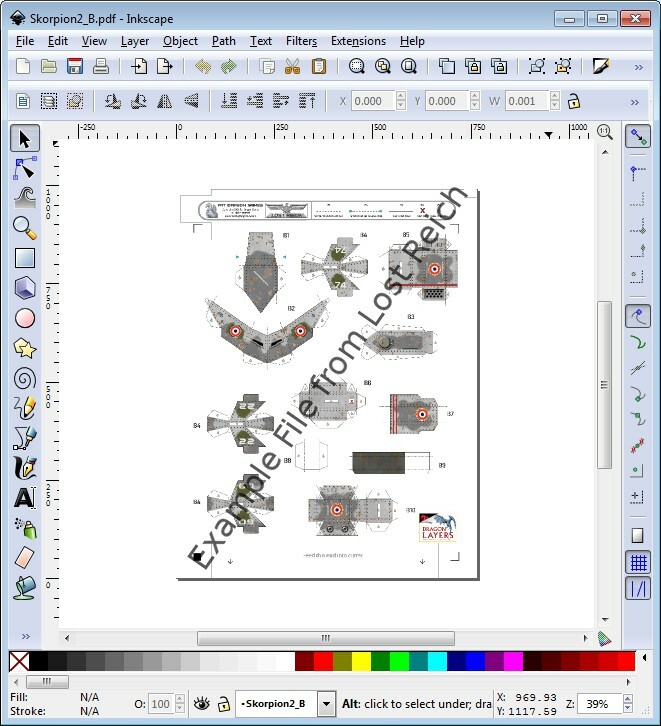 You end up with your own copy of the “layered” PDF (okay now an XCF file) in GIMP so adding a new layer in the right order results in easier modding. 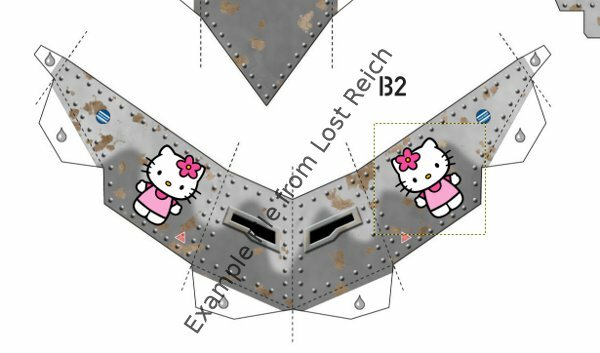 Eg On a Lost Reich Mech I could add a new bullet hole layer above or below the dirt and grim layer to show old and new bullet holes. The difference above may seem minimal however my printer, prints the pdf version and original at different shades and then my eye can easily spot the different shading across a terrain piece. This is less important if the whole piece is affected (eg whole building) as opposed to say a new Custom tile or balcony addition to an existing building. Saying that even this method is not perfect and if the piece is especially complex\layer heavy you may struggle to get a perfect match. 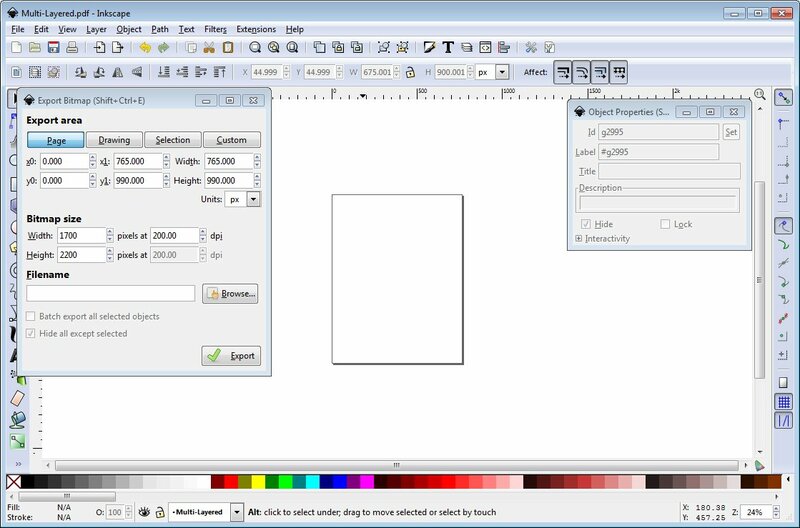 You’ll need to download and install the latest version of Inkscape (0.48.2 when I wrote this), or as always you can just make use of the portable version and run it off a thumb drive. 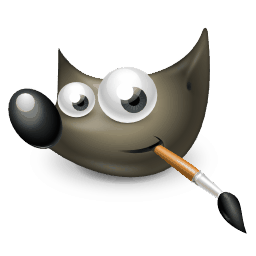 You’ll also need a copy of GIMP downloaded and installed, covered in a little more detail in my previous post. 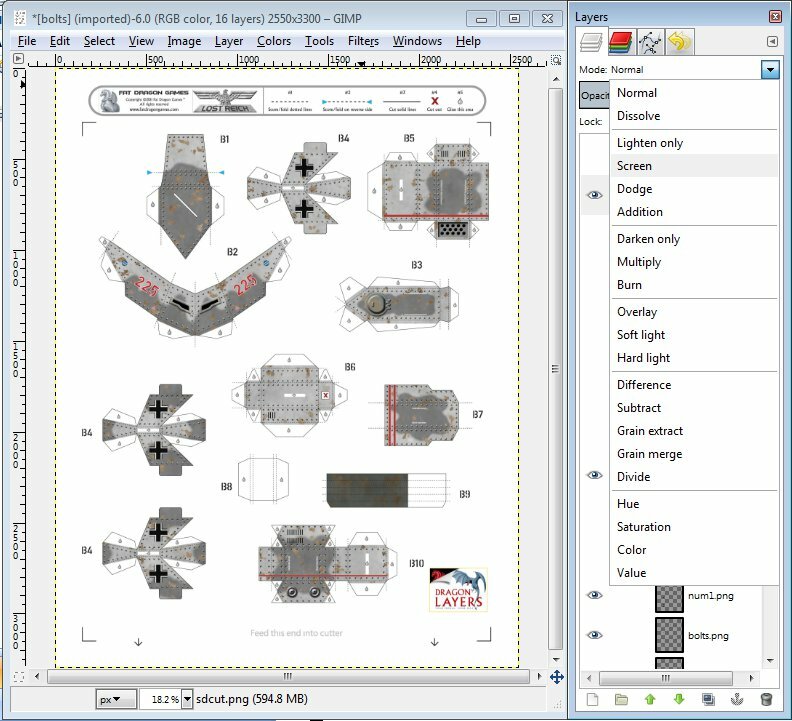 To start off with pick the layered PDF you want to mod/bash, try not to pick a layered PDF with too many layers a good practice piece would be one of Fat Dragon Games layered PDFs from there newer sets. 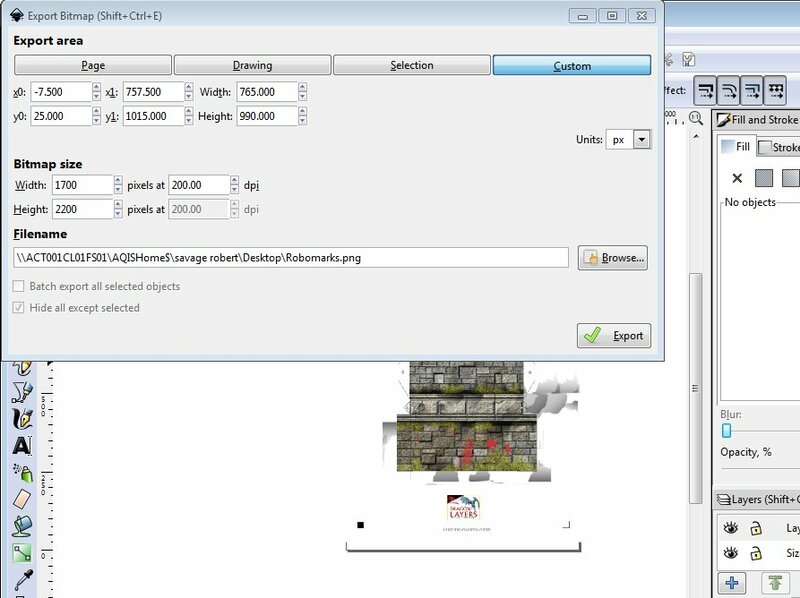 I will say if you are planning on using the below on any of Dave Graffams buildings check he hasn’t released a PSD version before you go through the conversion process as this saves a significant amount of time and effort. Fat Dragon Games (Tom Tullis) – Imports fairly normally with each layer as an object these tend to be grouped in one group. 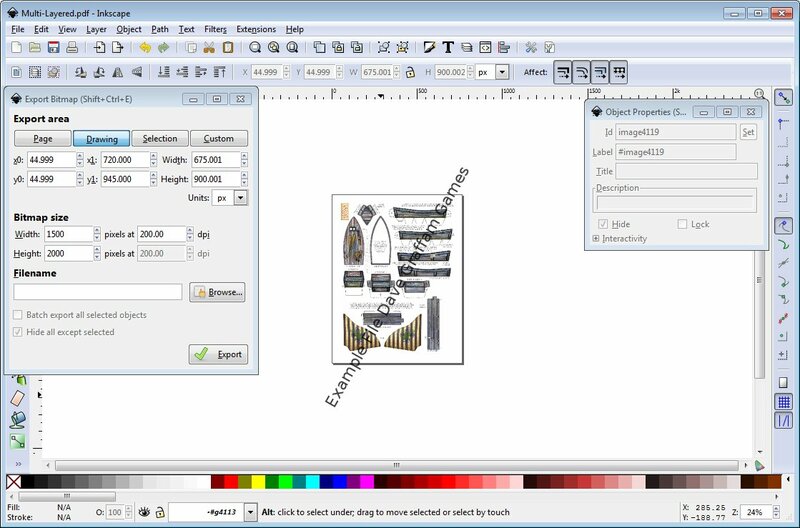 However each object has it’s own custom size requiring you to set a custom size on export to facilitate easy importing to GIMP and retain the relative X,Y location of the layers. 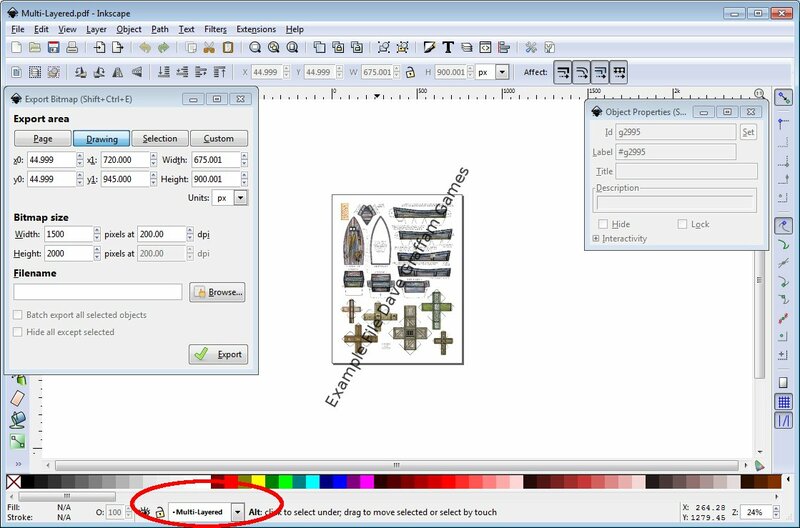 Dave Graffam – Imports in long nested groups of objects cutting or moving the objects out of these nested groups causes the image links to no longer function (or it does for me). 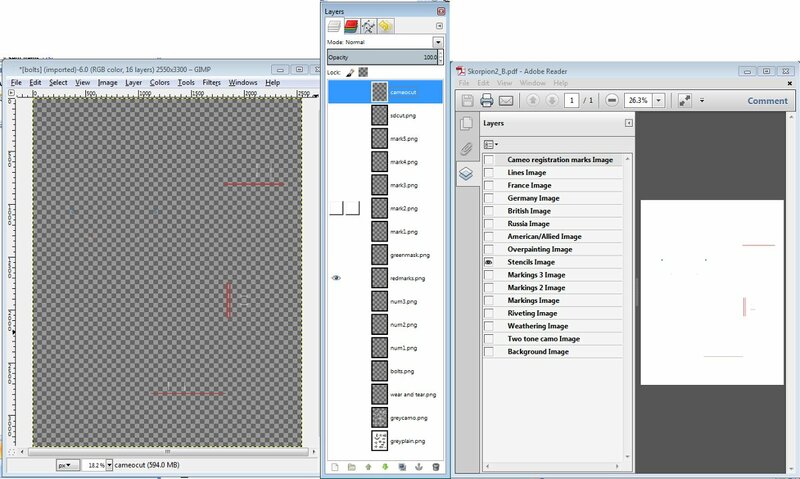 All objects are the same size so making exporting easier, however often you are clicking into nested groups for some time to find the base level. Mine (UFO etc) – Is some sort of odd cross between the two. 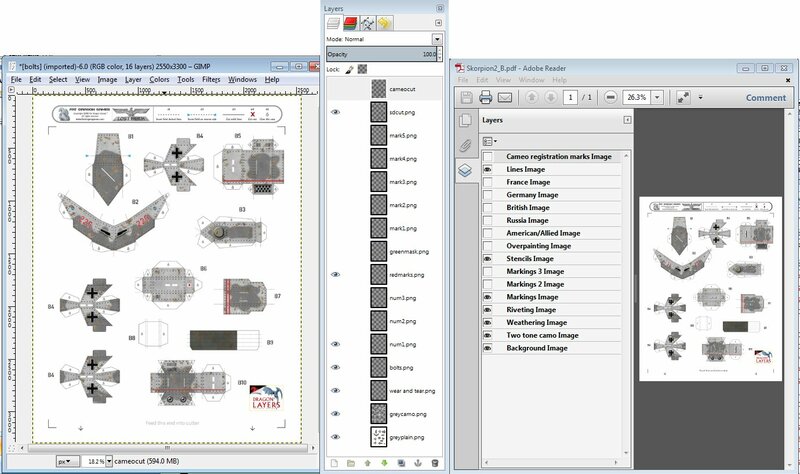 The objects are a fixed page size like Dave’s but they are not nested in nested groups and all sit at the top level like Tom’s under one group (follow Fat Dragon Guide and you should be okay). If I uncover any further different types I’ll add them to the above in the future and expand the below section. 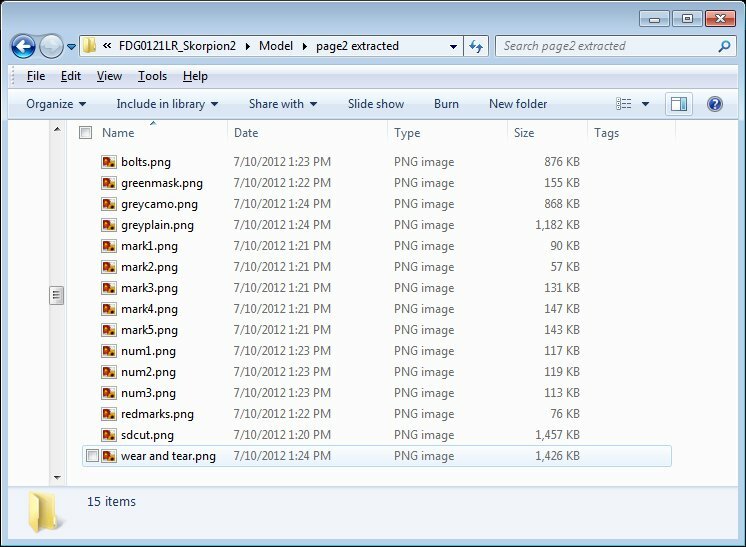 You have now captured all the individual layers that make up that PDF. 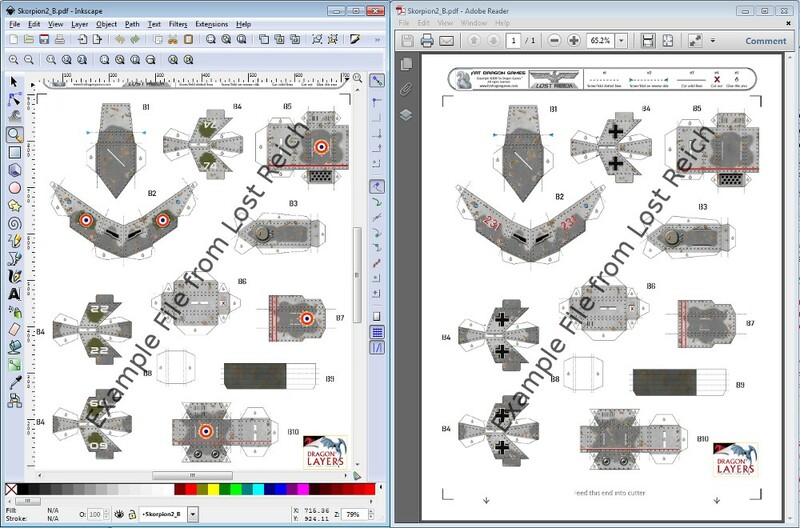 There is no need to save the inkscape file as you have the original PDF and really we didn’t add much value in inkscape but you can save it if you like. To unhide all the objects before saving it’s Object>>Unhide All. Now skip down to GIMP Reassembly. 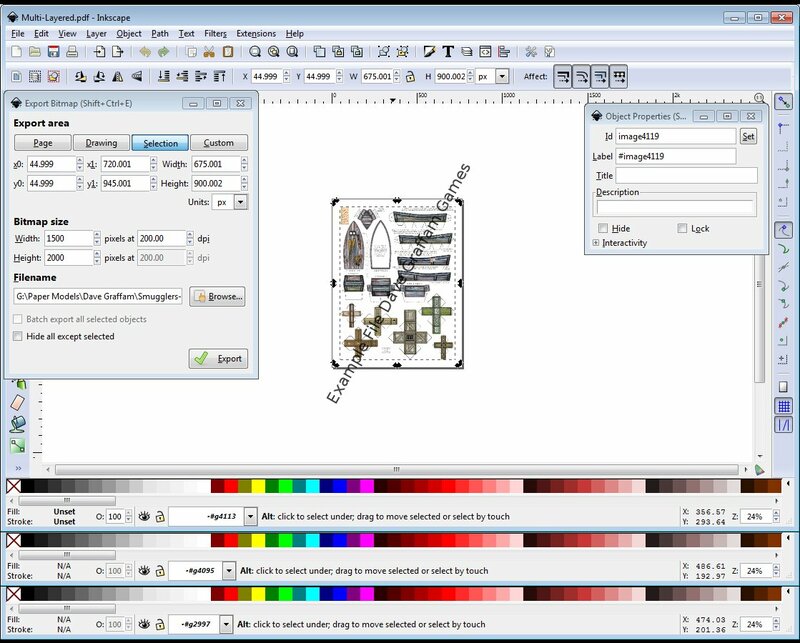 This is essentially the same as the above process but you don’t need to worry about setting a custom size before exporting you can basically export each layer at the stock size. The trick is making sure you click down deep enough into the groups such that your at the bottom of the group pile. I’ve tried ungrouping but this for me breaks the image link(s) and I end up in a mess with red image cant be found error links all over the place, so try de-grouping at your own risk. Okay first up open your Export Dialogue (File>>Export Bitmap or use Shift-Ctrl-E) and Object Windows (Object>>Object Properties or Shift-Ctrl-O). Put these out of the way so you can see the image in the middle. You can see above I started at #g2997 and ended a #g4113 (there were about 7 layers). 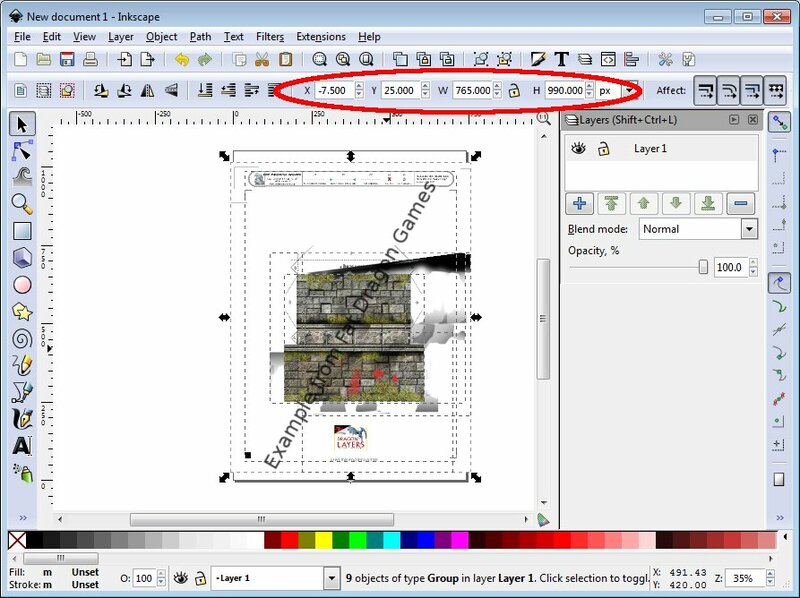 Simply Repeat the Multi Click>>Export>>Hide process until the Page is empty. Dave usually has a ton of options so expect to being do this for some time. Now repeat the above moving layers up and down until the layer orders in Adobe and GIMP match. 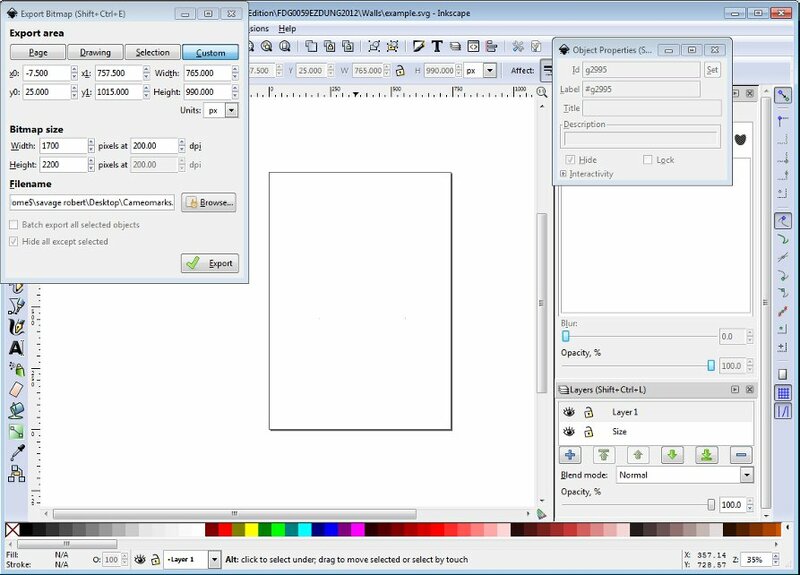 Now don’t forget to save the file in GIMP at this point, it is also a good idea to shrink the canvas size down a little (see my previous post) to avoid the margin printing issue in GIMP. Unfortunately I can’t guide you to which one exactly to use but some good ones to try are “Overlay”, “Darken Only”, “Burn”, “Screen”, “Hard light” and “Soft Light”. You’ll need to try different layer modes until you either get lucky and get an exact match or close enough that your happy with the result. I have found with some of Dave’s models my best results have been achieved by turning a layer off completely, my best guess is this is due to slight incompatibilities between the software Dave uses (Photoshop) to generate the files and GIMP. 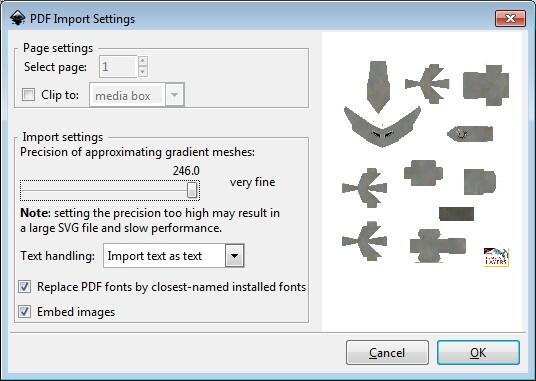 Hopefully the above info is helpful to those who wish to create some changes to layered PDF’s while retaining the quality. As this post is already very long I’ll cover doing some simple additions and changes to a file in my next post.